If you want to be well-prepared for your Mexico vacation, you might want to review those items that are essential for travel in the country. You would also do well to remember a few prohibited items as you select your MexicanInsuranceStore.com Mexico insurance. Of course, your Mexico auto insurance policy is one of the must-have items for your trip as you travel by car. One of the most serious scenarios for an individual crossing the Mexican border in recent years involved firearms. A U.S. Marine ended up spending months in a Mexican prison because he inadvertently crossed with a few ammo cartridges. He did not intend to do so, but an error in driving caused him to be stuck in the border traffic. There was no mercy on the other side. Don’t bring firearms, and obviously leave any ammunition at home as well. Even an empty shell could cause you problems in the wrong setting, and occasional searches during border crossings or at military checkpoints can occur. Leave illegal drugs at home. Although the nation can be viewed as a party destination, being caught with prohibited materials could lead to harsh treatment and serious legal difficulties. Napoleonic law is the nation’s practice, which means that you are likely to be presumed guilty. 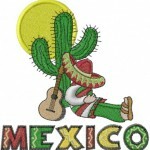 Your MexicanInsuranceStore.com Mexico insurance is necessary for legal driving in the country. You also need your passport to legally enter and leave Mexico. If you will enter a mainland state, you are expected to have a vehicle permit for travel beyond tourist regions. Anyone spending more than 72 hours in the country or traveling beyond designated tourist corridors must also obtain a tourist permit. You can obtain your Mexico auto insurance policy online before you leave home, which can save you time near the border. This can be very helpful if you need to stop for a tourist permit or vehicle permit. You should carry a printed copy of your MexicanInsuranceStore.com Mexico insurance as proof of coverage. However, your data can be provided to Mexican officials immediately upon conclusion of your purchase. Thinking about legal driving, you only have to buy Mexico insurance online. Your travel begins once you got it. It guarantees your road protection. Forget the prohibited drugs and don’t dare bring them. They would end up to legal issues that even your Mexico insurance policy can’t do anything. Bringing your stuff to Mexico takes a practical preparation. Certainly, your copy of Mexico insurance is on the top of your list. Buy it for a safe trip to Mexico. Wherever you go to Mexico, a copy of Mexican auto insurance is your proof of coverage. Always keep a copy inside your car. How exciting it is for travelers and tourists to witness an amazing parade during Mexican Independence Day. This is one of the most awaited and celebrated events by Mexican people—including tourists. For driving tips in Mexico, the first and foremost tip is to have Mexican insurance at hand. Your coverage proves you are financially responsible. Mexico has a variety of cultures to offer which makes it an interesting place to visit. To enjoy your stay, get coverage from Mexico insurance. Weather in Mexico, when it is summertime, gives us the pleasurable summer rains turning the stunning landscapes into green. What a beautiful view to see it for yourself!